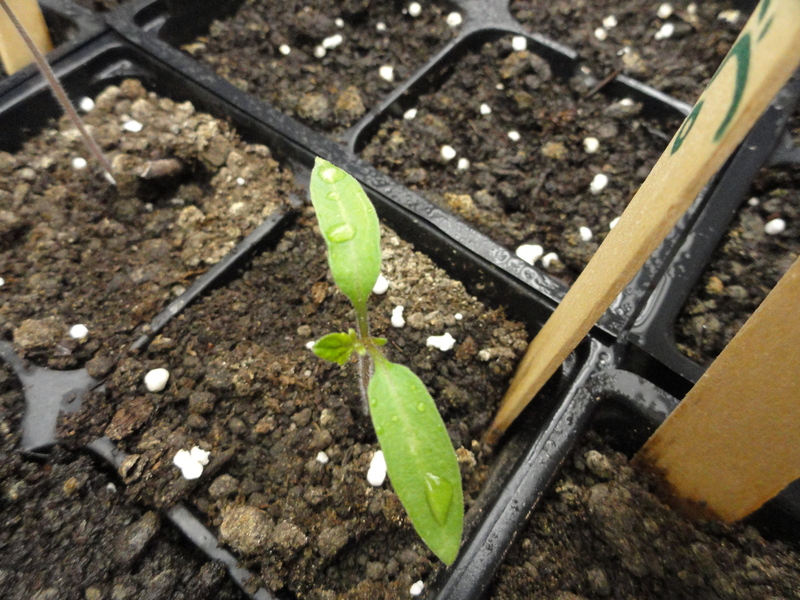 The onion, tomato, and tomatillo seedling’s plastic was impeding growth so I removed it for good this week. It is exciting to see them progressing well. 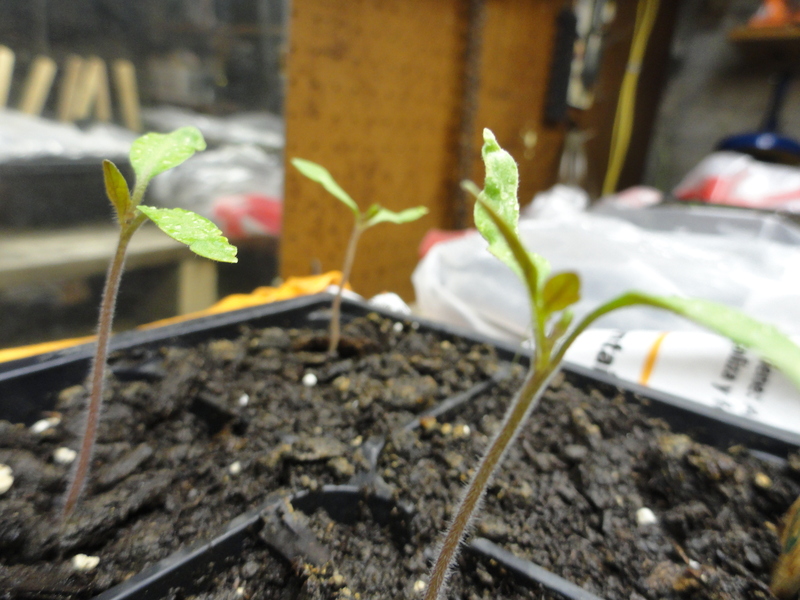 Tomato seedlings. You can see the “true leaf” starting to develop. 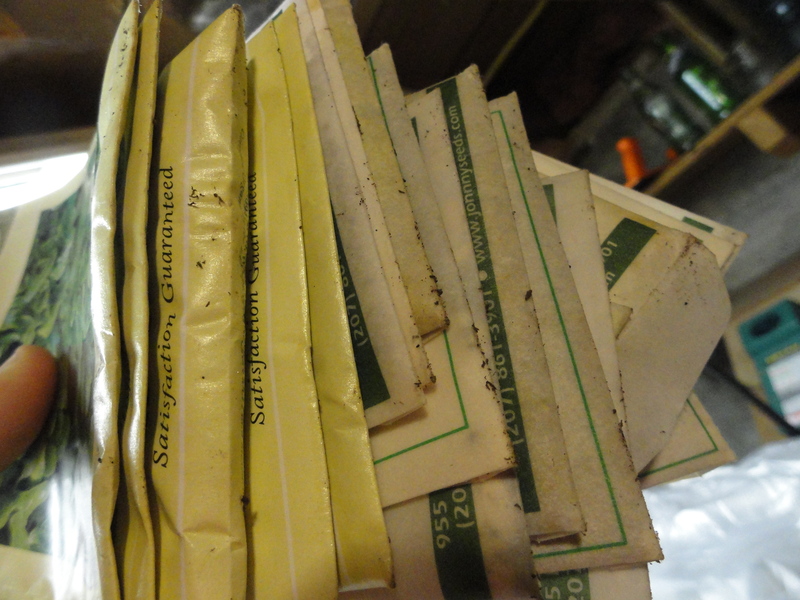 While taking pictures this evening I noticed there had been a small water accident and a number of my seed packets were wet. Well, mistakes typically force us to create a better method. I will have to work on developing a better storage plan. I should be keeping seeds in a more water tight containers anyway. So I will be thinking about how to do this efficiently and cost-effectively. The weather has been difficult to work around. On Friday morning I went cross-country skiing in my neighbor’s field. By noon that same day most of my tracks had melted from snow to grass. Looking back over four years of pictures about half the years I am working the soil, but this is not one of those years. Until the soil thaws I will not be working the soil. Walking on wet soil just compacts all the air pockets and makes it the harder for roots to push through the soil and for them to get the nutrients they are desire. I did order another type of tomato seeds. I have been growing Pruden’s Purple the past few years. I like the tomatoes, and I find it is fairly disease resistant. So they should be arriving soon, and I will get them started so they can be big and strong going into the soil. I hope we will all be getting hands dirty soon. The garden beds here are still under snow! David, I am FB friends with someone from southern IL and they are planting. Crazy what a few hundred miles will do. I luv to watch and monitor new seedlings progressing in their growth. Thanx for sharing.